A lot has happened since I last wrote here in August. 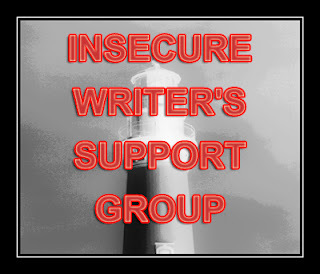 September 5th I celebrated my 50th birthday, and so was out of town for the Insecure Writers Support Group. I hate missing it. I enjoy reading others’ blogs, and being able to share my own insecurities and fears. Finally, one day I checked, in a hurry and not even really thinking. It had been at least a month and I was getting my hopes up. When I read the status as “complete,” which meant basically “thank you for letting us read your story, but it’s not what we’re looking for at this time,” I felt . . . numb. I didn’t cry, I didn’t shout, curse, or any of those things. I felt really numb. I posted on Facebook that my story had been rejected and many friends came forward to commiserate and to encourage me to resubmit the story immediately at other journals, other magazines. One offered to read it and make suggestions. The outpouring of support shook me out of my numb state and helped me see different perspectives. It was, after all, one journal. Glimmer Train Press itself admits that it usually rejects people many times before it accepts something from them. They are not an easy journal. It’s okay. It doesn’t mean it’s a bad story. I’ve already submitted it to two other magazines, and I’m thinking about looking at addiction journals, since it’s based on a true story. I hope you are all doing well. Write on. Rejection was a new beginning for me. I got some really nice, constructive rejection that led to a different path and helped improve my writing. You’re in the game. That’s fantastic. Oh your title struck me. Just remembered that we can’t post any negative thoughts/violent reactions to anything~ because of the Cybercrime Law implemented today. (don’t exactly know the whole thought about CCL, I rarely watch news lol) My facebook newsfeed is in rally lol…..
Anyway…. Sorry about your story, maybe that rejection will lead to a much better decision! 😉 You never know what doors will open.